If you’re considering the best schools for orthodontics, you’ll likely also be curious about orthodontics as a profession. Orthodontists are dentists that have been trained specifically for the purpose of correcting pains, muscle malfunction and irregular movements in the jaw that result in improper bites. In addition to correcting functional issues, orthodontists also often apply treatments for aesthetic purposes, using braces, mouth appliances, and molds to enable teeth to become better aligned. When necessary, orthodontists also perform oral surgery to correct jaw structure or enable blocked teeth to come in or shift more easily. Professionally, orthodontists typically manage a staff of hygienists and assistants from a private office with daily operating hours and weekly schedules varying based on clientele. While some practices only operate during normal business hours Monday through Friday, providing services for children and teenagers, others remain open in the evening, on weekends, and cater primarily to adults. Physical endurance–many spend significant time hovering over patients while carrying out different treatments. Another two years of post-dental study in a specialized orthodontics training program. 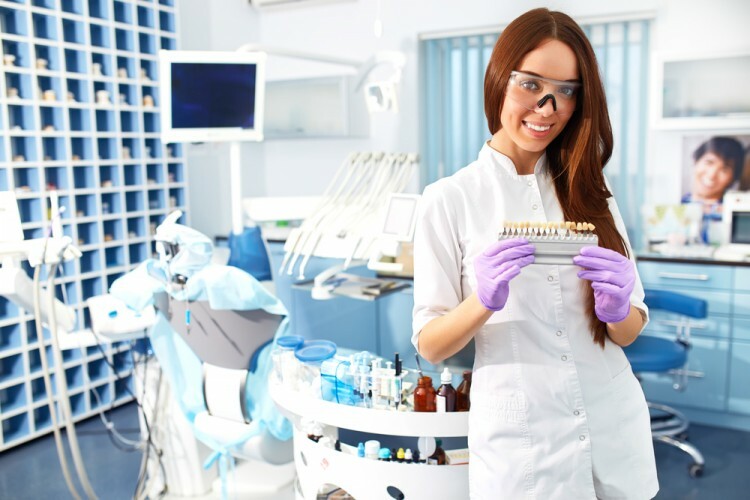 This is to say nothing of the array of certifications and tests for state licensing–in dentistry and orthodontics–that all orthodontists must undergo. From the preliminary Dental Admission Test (DAT) required of all dental school applicants, to certifications by the American Board of Orthodontics and other certifying boards, the process of becoming a licensed professional in the field of orthodontics is certainly a rigorous one. If all of this seems manageable, however, perhaps you’d be interested in knowing more about some of the best institutions in the nation in which to embark upon your orthodontics journey. Beyond merely considering the Most Affordable Dental Schools in the US, we’ve taken into account prestige, competitiveness, and average entrance exam scores, to generate a list of the best schools for orthodontics in the United States.